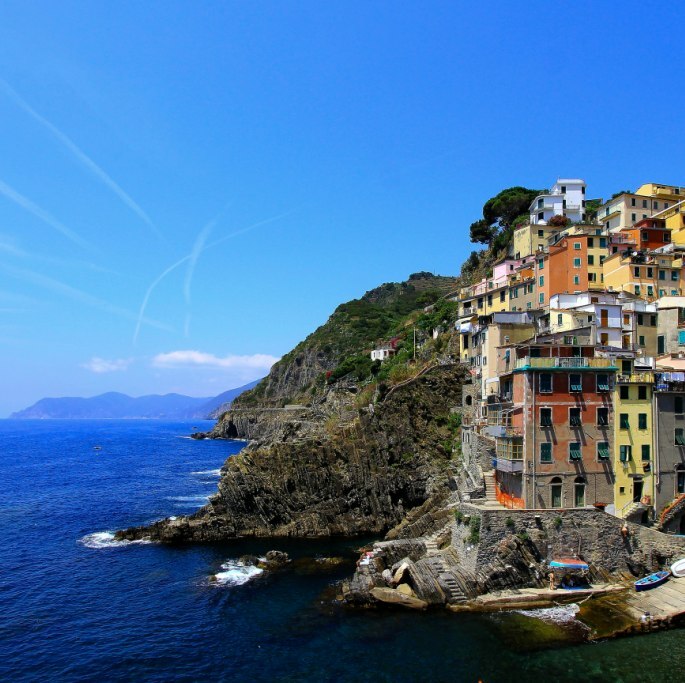 The Cinque Terre are a world famous part of the coast of the eastern Ligurian Riviera that feature five (cinque) small villages or lands (terre): Monterosso, Vernazza, Corniglia, Manarola, and Riomaggiore. You can reach them from Villa Argentina by taking a ferry or a short train ride. The coastal environment is typically Mediterranean, but the mountains of Ligurian climb down to the sea, creating a unique landscape. Walking between the paths that connect the five villages, surrounded by the lush Mediterranean greenery, is the best way to discover the Cinque Terre. 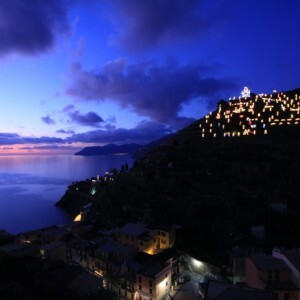 The most famous of the trails is the Via dell’Amore, or “Way of Love.” This path connects Manarola to Riomaggiore, cutting the rock and overlooking the sea. Coming from Moneglia, the first village of the Cinque Terre you meet is Monterosso al Mare, a small seaside resort with a wide, sandy beach and a beautiful promenade. 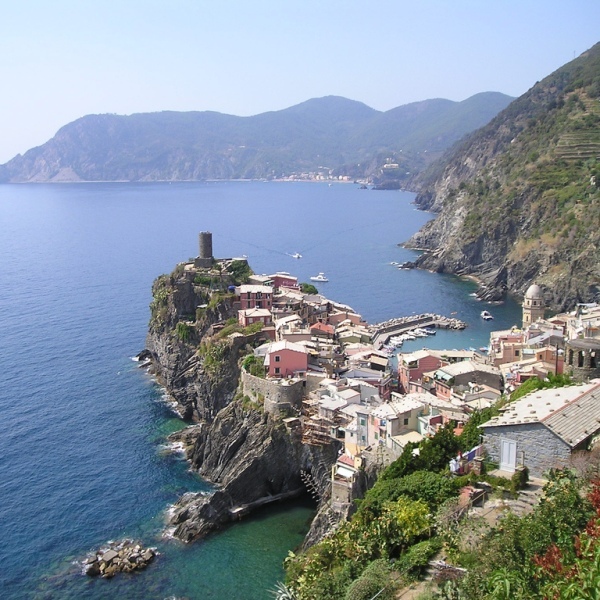 The next village is Vernazza, nestled next to a bay, followed by its neighbor Corniglia. This village has a rustic charm, and is the only one of the Cinque Terra that is built on top of a hill. The last two villages you will encounter are Manarola and Riomaggiore, which are perhaps the most iconic of the Cinque Terre. The houses with their colorful facades are grouped close together and can be found all the way down to the sea, creating a dazzling mosaic. 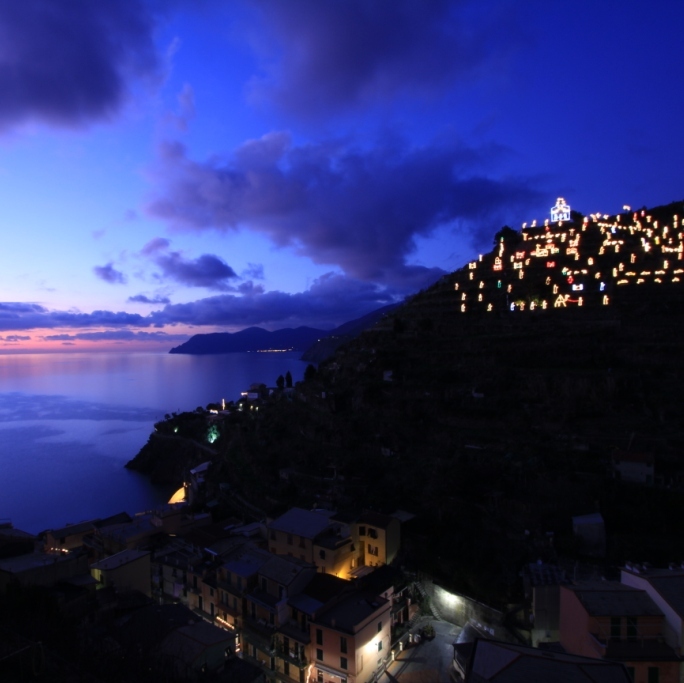 The villages are part of the National Park of the Cinque Terre, which also includes a portion of the hinterland and a marine protected area. The park is the first in Italy to have been created to protect a man-made landscape, since people were able to settle in the area and enhance the natural environment, making the area even more impressive. The panoramic views, the sea, and hill paths are not the only unique aspects of this area’s beauty, which is a UNESCO World Heritage Site. 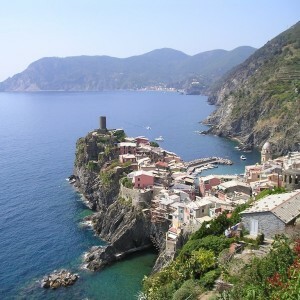 The churches in the typical Ligurian Gothic style, the tower houses, the maze of alleyways, as well as the rich and light cuisine all make excursions to the Cinque Terre truly unforgettable. 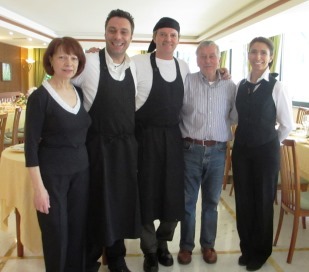 And after you return from strolling through art, history, and nature in the evening, we all look forward to having you for dinner at Villa Argentina!